What can I say? 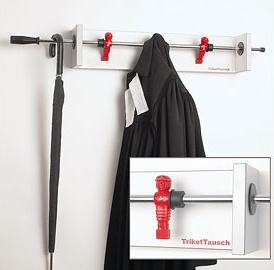 For those of us who are attracted to the unusual, this Foosdude coat rack seems pretty wonderful. 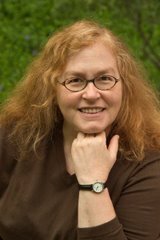 Update on August 13, 2009: The web site selling this product seems to have disappeared, and I'm not finding another site selling this product. 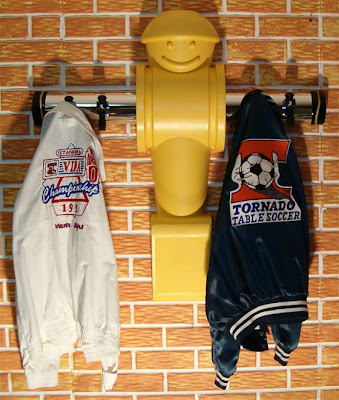 Another option for foosball fans is the table football coat hook. 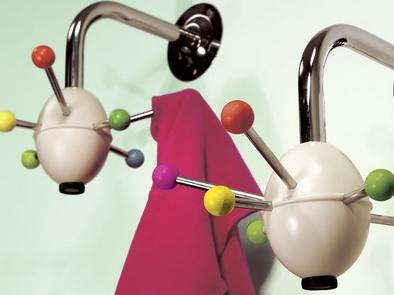 Here's the coat hook called Saturn, named after the planet and its satellites. 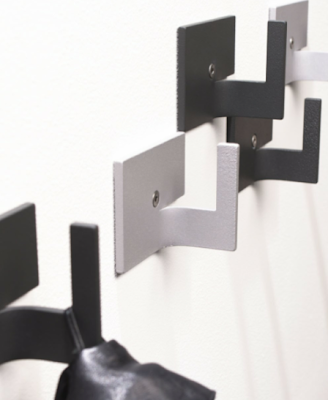 And this coat hook, from BureaudeBank, is shaped like a Dutch bread clip (and looks pretty much like the bread clips here in the USA, too). See the pricing information here. 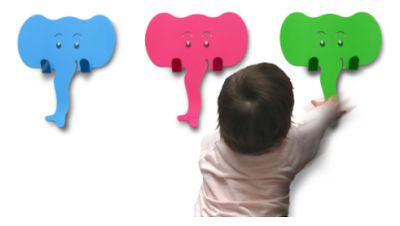 Returning to the Americas, the Tusk coat hook designed by John Greg Ball is available from Connect Mommies & Babies in Canada, which does ship internationally. See the contact information. 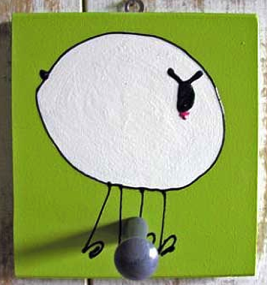 And finally, also from Canada, here's one of the single-peg coat hooks from Kids Deserve Art. Julie, of course not! Go get yourself a castle if you want one! Thanks for recommending Kids Deserve Art! Just happened on this now. Glad you like our hooks! -- Haley, Kids Deserve Art! Haley-O, you're very welcome. 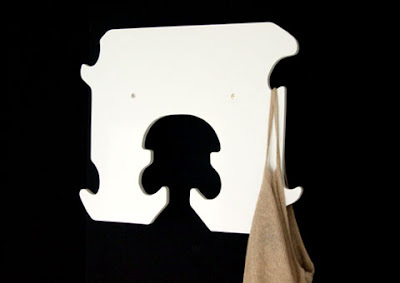 They are very cool hooks - I love finding such things! I want to buy the Saturn hook, how much is it? Cynthia, I don't sell anything. When I click on the link, I see the company selling it is asking for 29.95 euros.